Hemisphere Beverages™ created a unique beverage product around one ingredient: the calyces of the hibiscus sabdariffa plant. 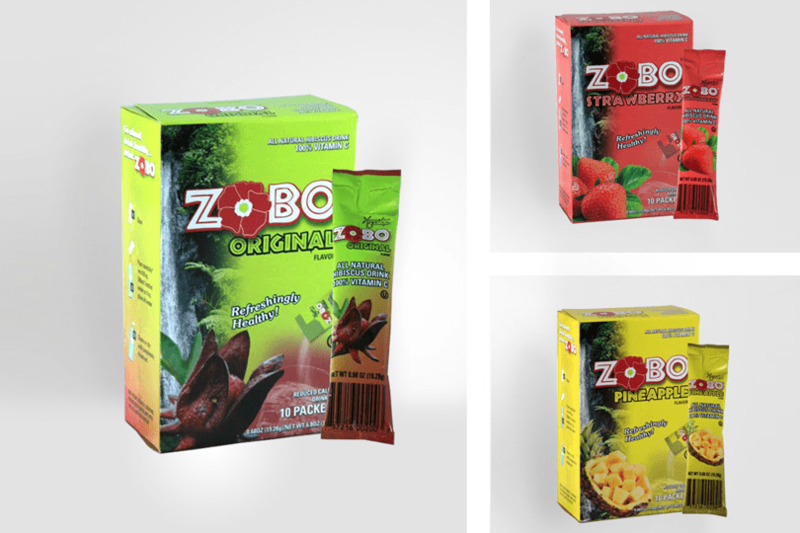 The product “ZOBO” (Zōbō), a short name for Zoborodo (Zōbōrôdô) meaning the red drink in Hausa (West African Language), comes in stick and tea packaging and is designed for people on the go. Though the drink is innovative, consumers were not familiar with the product or consuming it’s number one ingredient. 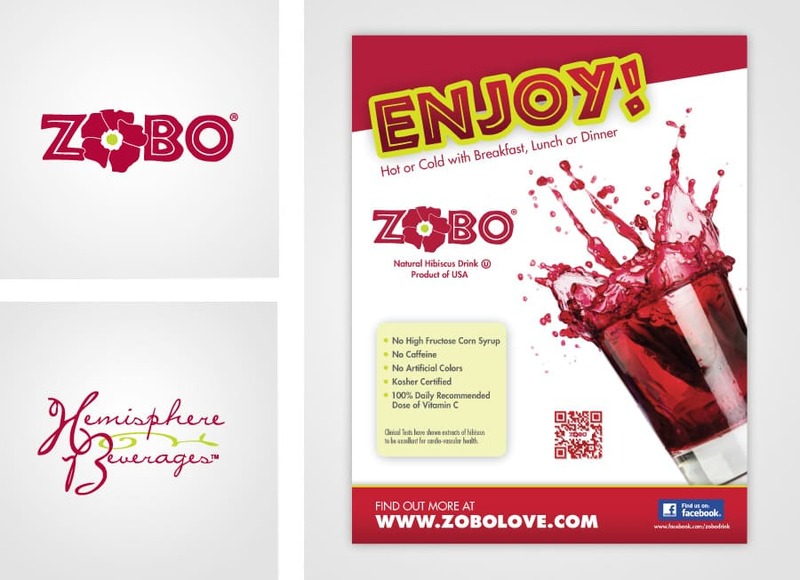 With the rise of health-conscious shoppers, Hemisphere Beverages needed an identity and package that showcased the health benefits of Zobo, the cultural roots of the main ingredient and the narrative introducing the product. 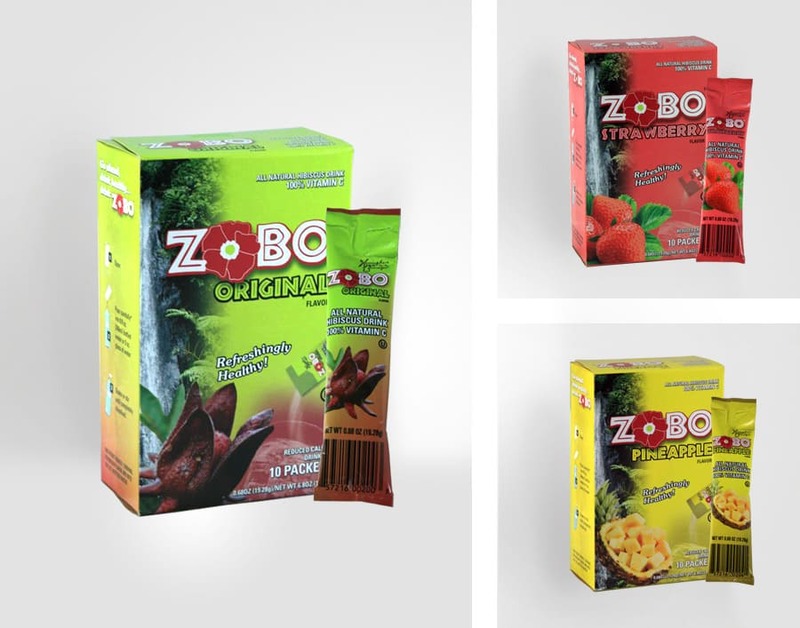 With the amount of new beverages trying to breakthrough each year, Zobo needed a design direction that enabled it to stand out in the market and keep within the client’s budget and strategy for introduction / expansion. The design capitalized on Zobo’s ingredients, which are rich in antioxidants such as flavonoids, gossypetine, hibiscetine and sabdaretine. The fresh calyces are also rich in riboflavin, ascorbic acid, niacin, carotene, calcium, and iron, all which are nutritionally important. We used the African roots of the product to introduce the unique narrative of the brand. Big Idea? Creation of distinct type mark with bright colors to convey the deep roots and originality (along with fresh ingredient photography) of Zobo.